Dr. Snyder has been married since 1989, and has three children. His wife is a kindergarten teacher in Jefferson County and his kids are very active in soccer and community volunteering. When not attending or teaching post-graduate classes, his weekends are spent coaching, driving to games, and watching his kids in their activities. He enjoys coaching youth soccer teams, teaching postgraduate studies in sports medicine and acupuncture, and historic & nature photography. He teaches numerous classes on healthcare and entrepreneur classes for local students ranging from elementary through college level. He does this to help generate interest in the minds of our young people for their future careers and to motivate them to help others as he has dedicated his life to doing. 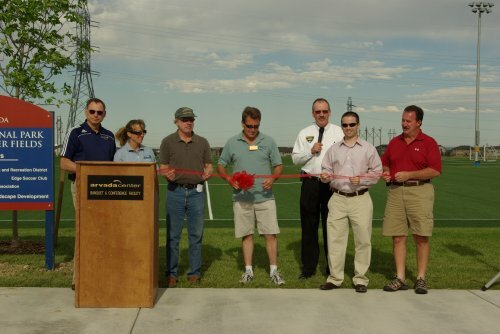 He is currently the president of the Real Colorado Edge Soccer Club in Arvada, Colorado. (RealCoEdge.net) This club services nearly 3100 athletes from 4-23 years of age. 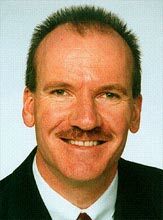 He is the Chiropractic Team Doctor for Regis University in Denver CO. (RegisRangers.com) He began working with the Regis U. athletes in 2012. 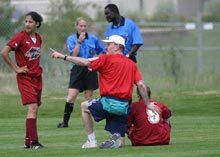 He has been the team physician for Thornton High School soccer, the Bud Light Pro Volleyball Tour (men's & women's), the Mountain Dew Snowboarding Tour, the Mile High Mustangs of the WUSL, National Inline Hockey Championships, as well as many local sporting events. His list of athletes include Professional, Olympic, Senior Olympic and college athletes. 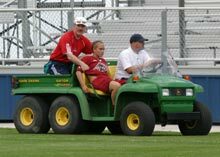 He enjoys working with pediatric and recreational athletes as well. He is also the past president of Robby's Friends (Pediatric Cancer Support and Activities Charity). Robby Ferrifino was a boy who truly touched the heart of Dr. Snyder. Dr. Snyder was blessed to have represented the USA in soccer. He traveled to many foreign countries playing soccer and hopes to take his children back to the areas and stadiums where he once played. Dr. Snyder's mother was diagnosed with Multiple Sclerosis in the mid-seventies. Ever since then, he has had a passion for learning more about MS. He uses acupuncture and chiropractic to help MS patients return to a higher quality of life. Patients always ask... What do all those initials stand for? Dr. Snyder has a real passion for wanting to learn and understand the human body. All of the initials are post-graduate degrees that Dr. Snyder has worked so diligently to achieve. "DACBSP" - Stands for Diplomate of the American Chiropractic Board of Sports Physicians. This is a three-year course that starts with a one year "Certified Chiropractic Sports Physician (CCSP)", and then an additional two years of study, written and oral national board exams. To finalize his Diplomate status he was also published in a peer reviewed sports medicine journal. (PDF). "CKTP" - Stands for Certified Kinesio Taping Practitioner. Dr. Snyder has over fifty hours of training in Kinesio Taping. He is also a certified Graston Technique Practitioner, as well as, TDN (IMS Dry Needle Therapy), and Kaufman Technique. 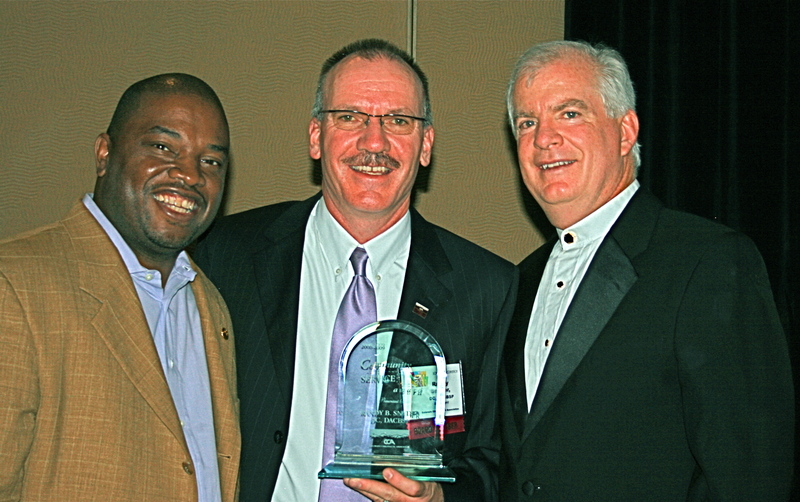 These are photos of Dr. Snyder receiving the "Community Service" award from the Colorado Chiropractic Association. 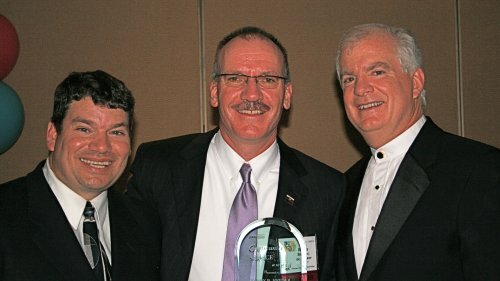 He was given this prestigious award for all his work within the community, which included the soccer community and building stronger relations with governmental agencies. 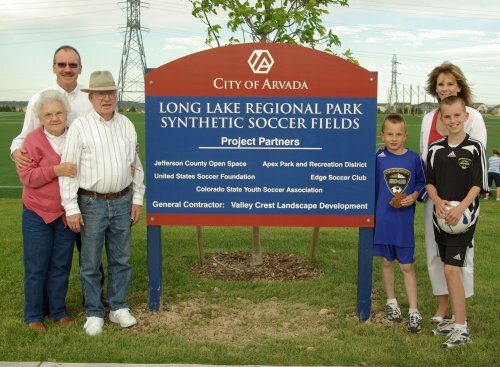 Dr. Snyder and the rest of the EDGE Soccer Board helped the EDGE Soccer Club, Colorado Youth Soccer Assoc., US Youth Soccer Foundation, City of Arvada, Apex Parks, and Jefferson County Open Space build the 1.9 million dollar turf facility at Long Lake Ranch. Dr. Snyder with his family at the Long Lake Ranch turf dedication!